Ventricular tachycardia is an abnormally fast heart rate. The abnormal heart rate originates in one of the heart's lower chambers (ventricles). 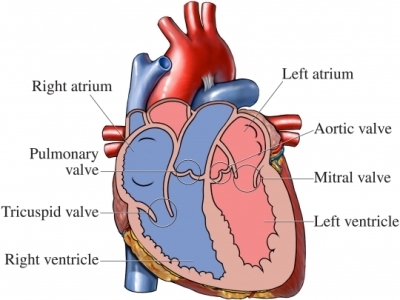 It is diagnosed when there are 3 or more beats in succession originating from a ventricle. The heart beats at a rate greater than 100 beats per minute, but fewer than 200 beats per minute. Ventricular tachycardia is considered sustained if it lasts more than 30 seconds. 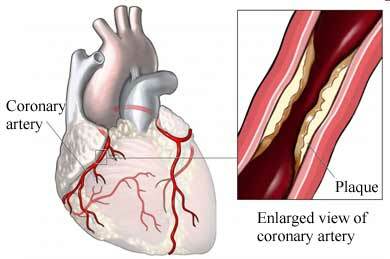 When this condition is sustained, the ventricles are not able to fill with enough blood for the heart to keep blood flowing properly through the body. This can result in lowered blood pressure, heart failure , and death. Damage to the ventricles can cause ventricular tachycardia. This damage to the heart muscle may be due to conditions like a heart attack or cardiomyopathy . This condition can be challenging to diagnose. Ventricular tachycardia often happens in emergency situations. It must be identified and treated very quickly. In an emergency situation, CPR or a defibrillator may be required. If other approaches fail, an automatic defibrillator will be inserted into the heart to deliver shocks as needed to keep the heart rate steady. Take medications to control heart rate and blood pressure. Get proper treatment for any underlying heart conditions. Use alcohol and caffeine in moderation. Take prevention steps to avoid heart disease by maintaining a healthy weight and exercising. If you smoke, talk to your doctor about how you can successfully quit . Ventricular tachycardia. EBSCO DynaMed Plus website. Available at: http://www.dynamed.com/topics/dmp~AN~T115268/Ventricular-tachycardia . Updated January 26, 2016. Accessed November 29, 2017. Ventricular tachycardia (VT). Merck Manual Professional Version website. Available at: http://www.merckmanuals.com/professional/cardiovascular%5Fdisorders/arrhythmias%5Fand%5Fconduction%5Fdisorders/ventricular%5Ftachycardia%5Fvt. Updated September 2017. Accessed November 29, 2017. Ventricular tachycardia (VT). New York-Presbyterian Hospital website. Available at: http://www.nyp.org/library/134%257C231?l=en. Accessed November 29, 2017.